July 15, 2011 - Sikorsky Aircraft Corp.’s X2 Technology demonstrator has flown for the last time, the company announced on Thursday. In an early morning demonstration flight conducted from the company’s new Sikorsky Innovations Center within its Development Flight Center, the X2 Technology demonstrator gave invited guests one last look at its technology in flight before officially being retired and transitioning to its first application, the S-97 Raider. It was the twenty-third test flight of the award-winning X2 aircraft, which flew approximately 22 total hours and achieved a maximum cruise speed of 253 knots in level flight at its peak point in the program. That milestone, an unofficial speed record for a conventional helicopter, was achieved on Sept. 15, 2010. “The X2 program also has helped to develop the next generation of Sikorsky engineers, including some who are now in key positions on the S-97 Raider™ program and the Firefly electric helicopter program. Today, the entire Sikorsky workforce stands proud of this accomplishment and what it means for the future of rotorcraft aviation,” Pino said. 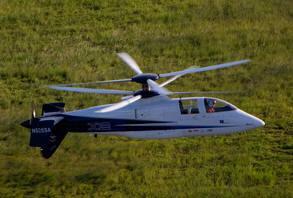 The S-97 Raider helicopter program is the follow-on program to the X2 Technology demonstrator initiative. Sikorsky Vice President of Research & Engineering Mark Miller said the S-97 Raider program will design, build and fly two prototype light tactical helicopters to enable the U.S. military to evaluate the viability of a fast and maneuverable next-generation rotorcraft for a variety of combat missions. A number of Sikorsky’s military and commercial customers were on hand to observe today’s final X2 flight. Among the innovative technologies the X2 Technology demonstrator employs are; fly-by-wire flight controls, counter-rotating rigid rotor blades, hub drag reduction, active vibration control and integrated auxiliary propulsion system.